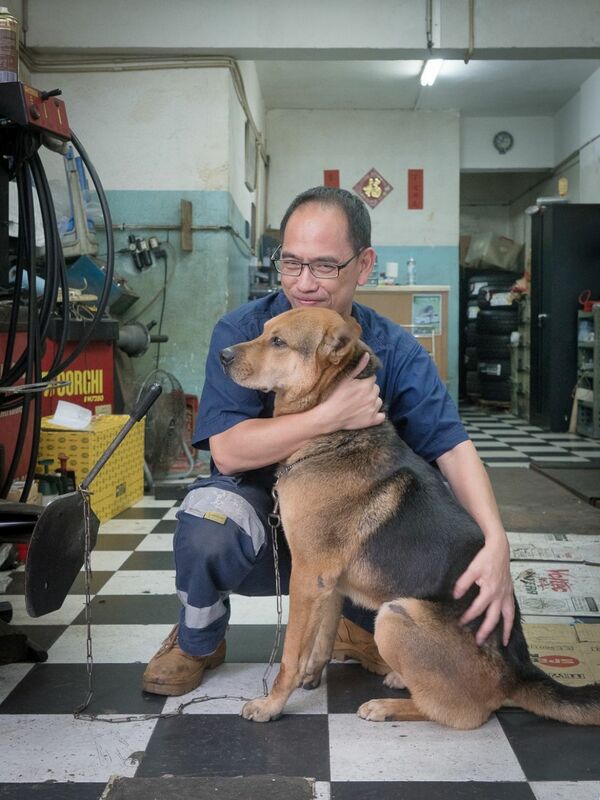 Dutch photographer Marcel Heijnen presents a tail-wagging selection of images of Hong Kong’s garage dogs – loyal canines guarding the city’s oily motor repair shops. 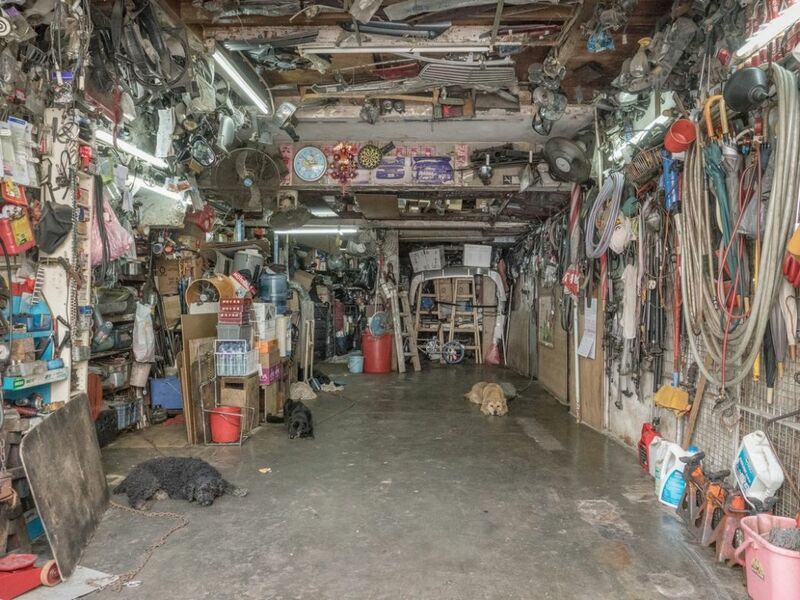 Following his photo series “Market Cats,” Heijnen takes a ruffer look at the unapologetically masculine world of car parts, engine grease, and tough love, embodying the intimate human-canine bond. 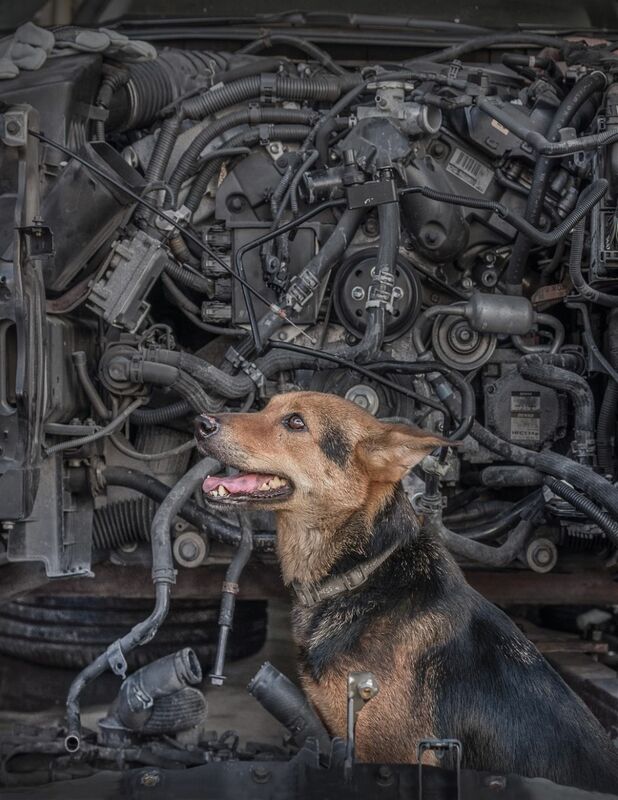 ‘Canine Machine.’ Photo: Marcel Heijnen. 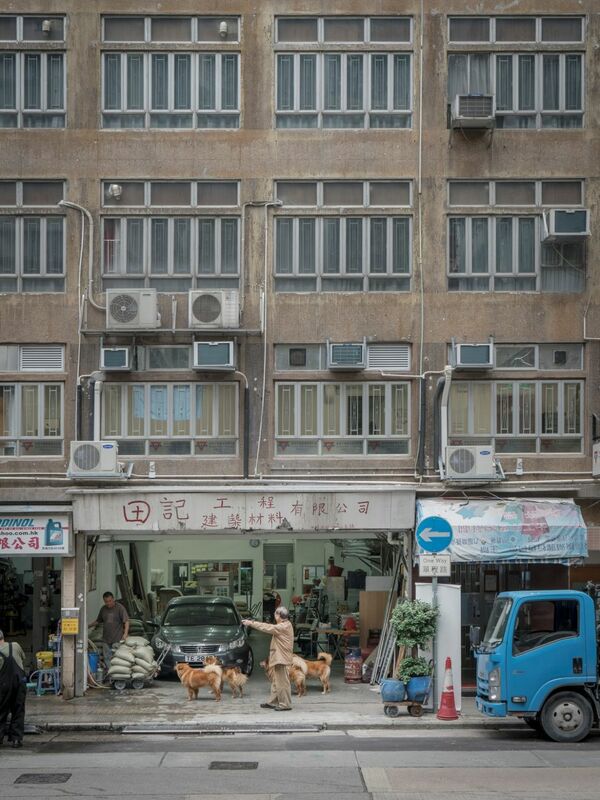 “I’m generally interested in Hong Kong’s raw and seemingly chaotic aspects and find this hugely photogenic,” Heijnen told HKFP. 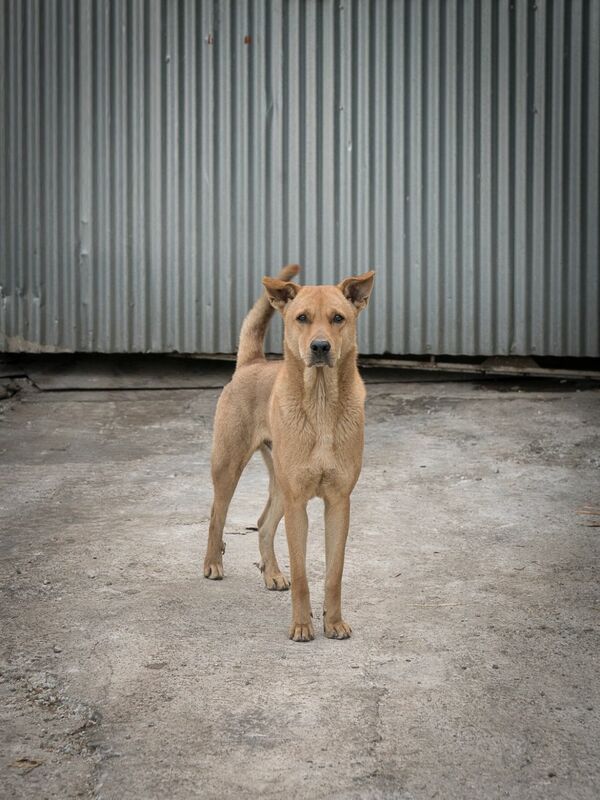 ‘Buddhist Dogma.’ Photo: Marcel Heijnen. 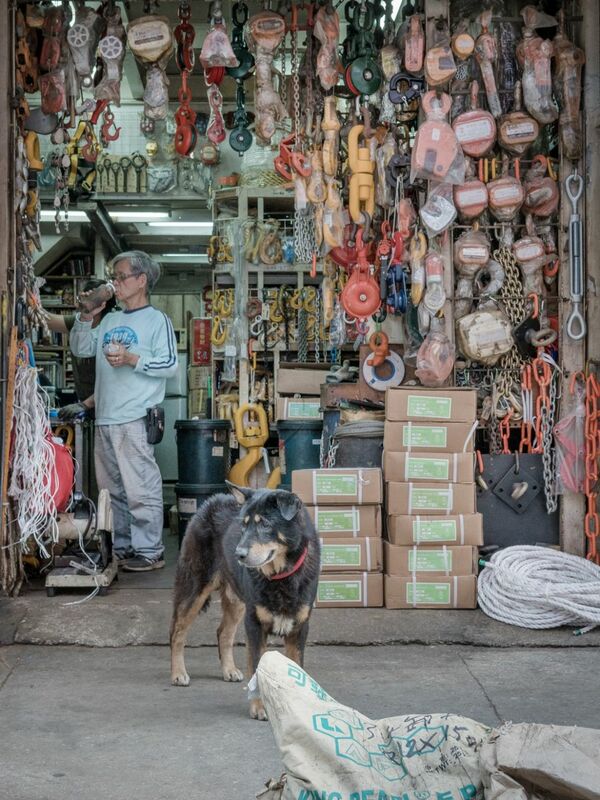 “After doing series and books on this city’s shop cats and market cats, I turned my attention to the many dogs living in car workshops as this provided an extension and counterbalance to the cat photos I started to become known for. 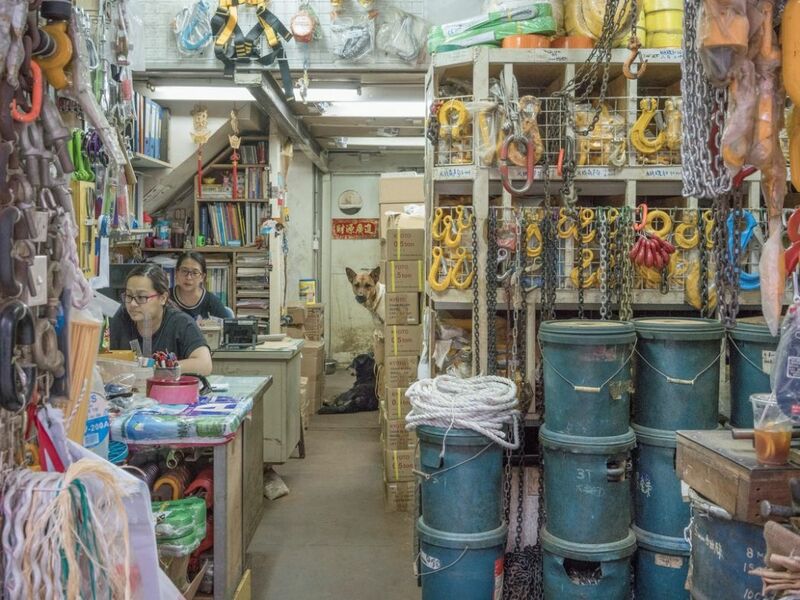 This inspired me to explore different locations of the territory while staying true to the ‘Hong Kong photos through the means of a functional animal’ narrative.” he said. ‘That Way.’ Photo: Marcel Heijnen. 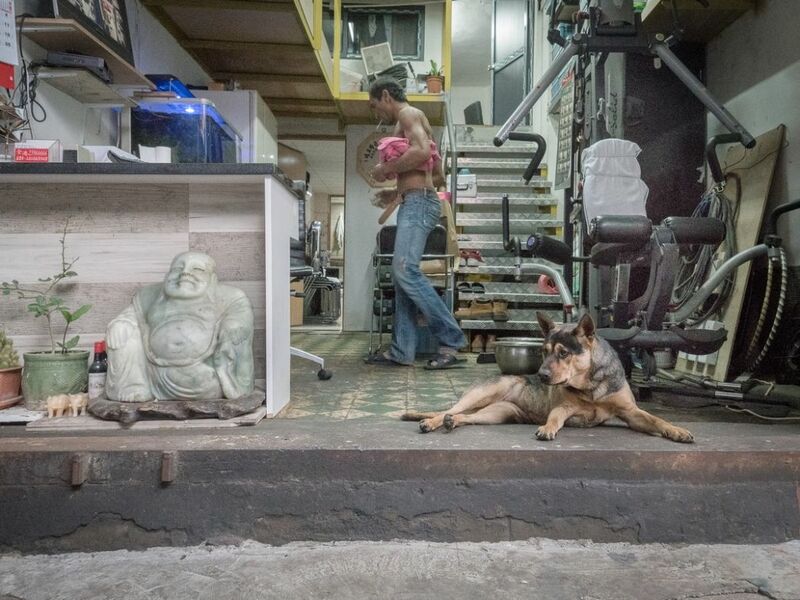 “Garage Dogs” launches on November 29 at Goods of Desire (G.O.D) PMQ. 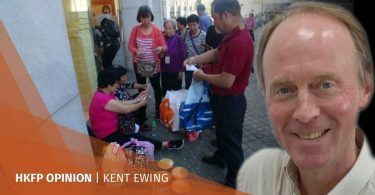 More information on the event can be found here. ‘Three D.’ Photo: Marcel Heijnen. 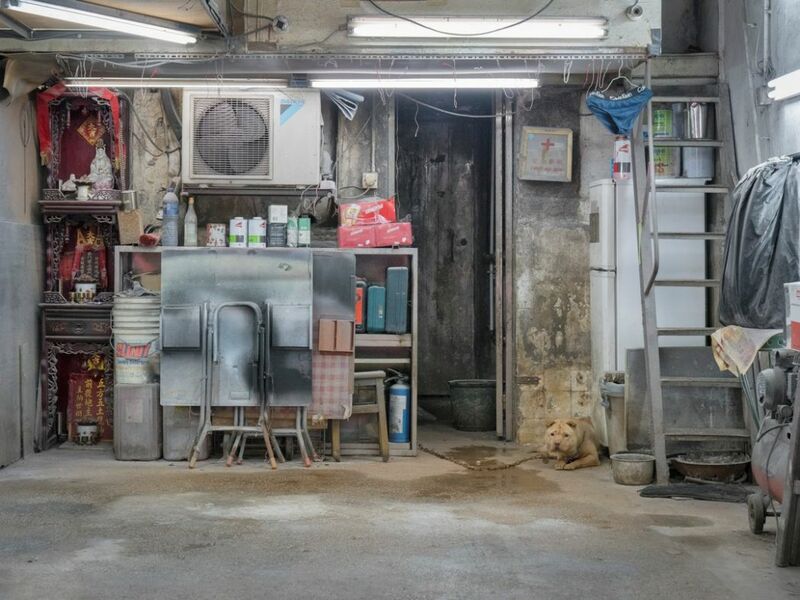 ‘Blend In.’ Photo: Marcel Heijnen. 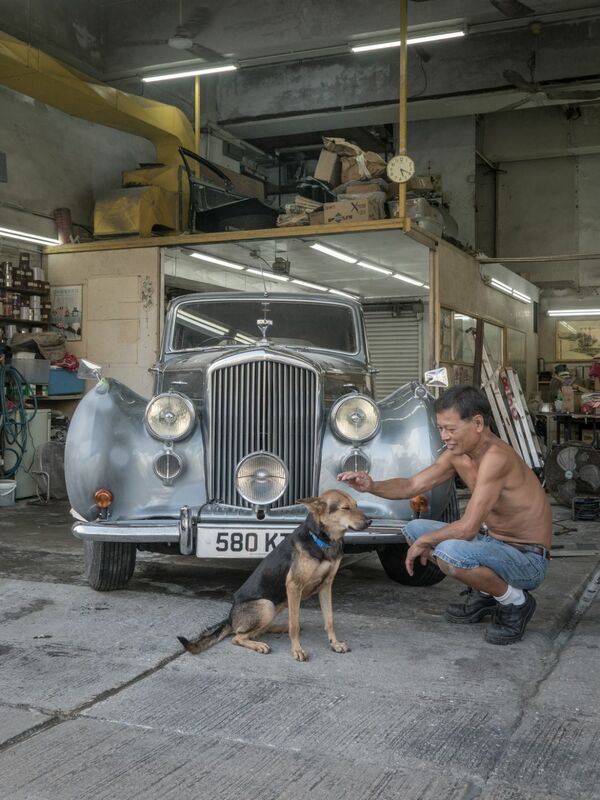 ‘Bentley Boy.’ Photo: Marcel Heijnen. 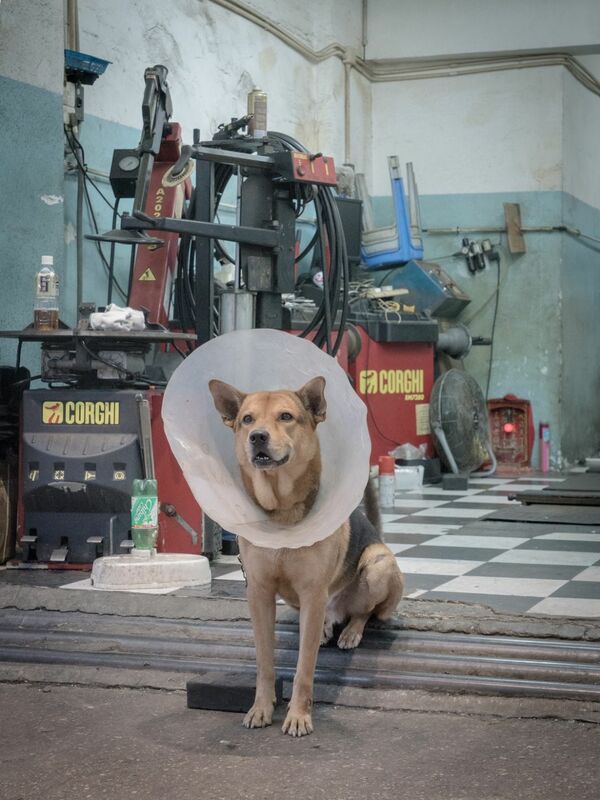 ‘Cone of Shame.’ Photo: Marcel Heijnen. 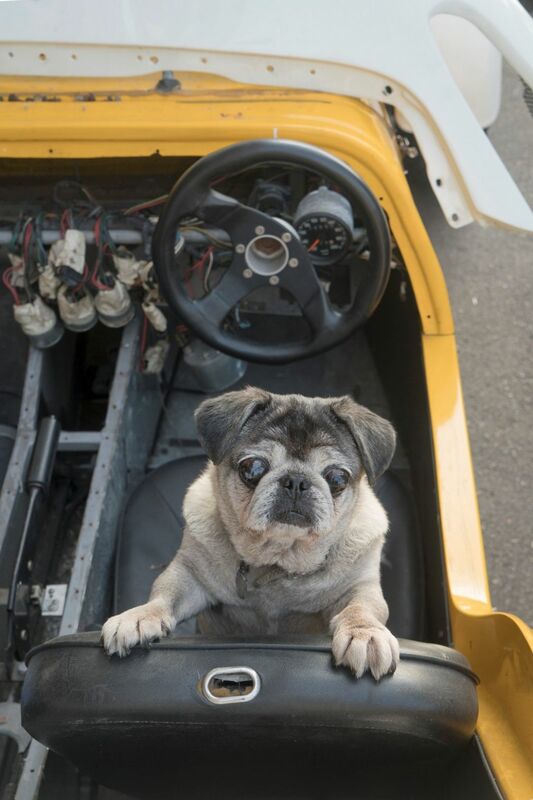 ‘Pug Power.’ Photo: Marcel Heijnen. ‘Puppy Love.’ Photo: Marcel Heijnen. ‘Stand Firm.’ Photo: Marcel Heijnen. Visit Heijnen’s website and Instagram for more images.